The game will install using Crossover, using the following recipe: Select an "unlisted app", select the setup.exe program from the installation folder, create a Windows7 bottle, at the fourth tab, add 'DirectX for modern games' and then begin the installation. Everything shoudl go smoothly from there on, but it might take a while. Start the game and get to the first checkpoint to generate an autosave. Quit the game and install the full v-1.42 Full Patch for Windows; you can skip all the intermediary updates. You can installed 'saved games' to access all the maps. You can also install hires textures. This game is new enough to install without too much fuss. Just follow the HOWTOs. Download the Linux installer from [the very slow, but it's free!!] IdSoftware or from here (faster). There is a Linux update as well found here. 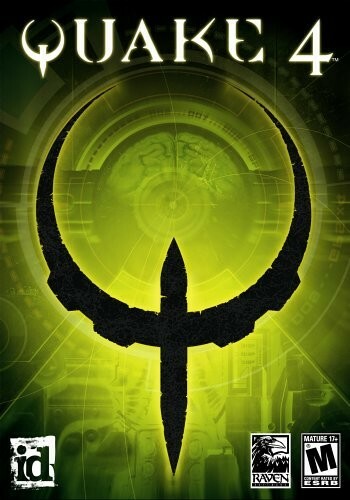 Because it is older, the Linux version may present some installation issues on your system, so check out the Quake4 FAQ/HOWTO. Additional interesting Quake4 downloads and updates are found here. will tell you the current state of the OSS Proxy Daemon. This is used to enable sound from legacy applications which use the OSS sound API. You should install the "ossp" package if you need this functionality.